Global 6Sigma.com offers Lean 6 Sigma Certification and Training courses in: White Belt, Yellow Belt, Green Belt, Black Belt and Master Black Belt. We also offer Certification and Training courses in Stockholm, Sweden: Lean Six Sigma, Design for Six Sigma, Green Process Management and Minitab. The unemployment rate in Sweden increased in January from 7 percent to 8.4 percent while previous studies showed that almost 80 percent of all the people in the age bracket of 20 – 64 were employed in the year 2013. Sweden has led the race among all European countries in the lowest number for unemployed population and was followed by Germany, the Netherlands, and then Denmark. Sweden also ranked well in the oldest employed age bracket (between 55 and 64) and was the only country in the entire European Union that could boast a percentage of over 70 in this segment. 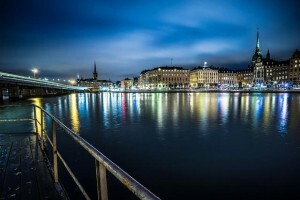 Such statistics indicate the nature of the business environment that Stockholm has, and for any individual who is looking for a lucrative job opportunity in the European region, Sweden can prove to be a very good choice. The Lean Six Sigma Certification is a methodology that is being implemented by many organizations within the workplace and has become an integral part of all major industries. The doctrine encompasses many theories, tools and procedures that are aimed at enhancing the workings of any process till it becomes flawless. Stockholm offers a much more competitive business environment and a median income that is comparatively much higher than even the national median income. A candidate needs to stand apart and upgrade on their professional repertoire if they intend to acquire and hold a good job opportunity in the city of Stockholm. Ranging from easy and simple janitorial duties to highly sophisticated and complex manufacturing designs, the training can virtually be implemented and practiced within any industry to improve the business processes and workings and get better results more efficiently. This industry is a region where perhaps the Lean Six Sigma Certification matters more than anywhere else; analyzing the products and procedures, identifying the problems, and providing effective and diligent solutions form the most integral part of the manufacturing industry. Getting trained by a Lean 6 Sigma training company will enable you to perform any tasks better and faster than anybody else. This industry involves dozens of procedures that culminate into one single service, whether be it customer service or inventory. A Lean Six Sigma Certification can provide you with an edge over all your competitors and enables you to perform much more efficiently. The Lean 6 Sigma training program can be used to acquire high paying jobs and gain a level of understanding of different business processes that puts you ahead of the rest of the candidates. A certified Lean 6 Sigma individual can benefit the organization, just as much as the organization benefits them. 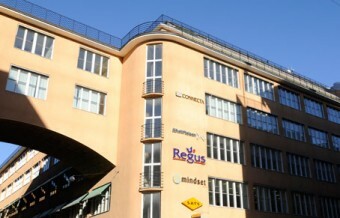 The office space in Mäster Samuelsgatan, Stockholm is extremely well located in the Lower Norrmalm district (also known as 'Norrmalm'), alongside T-Centralen, Central station. Surrounded largely by modern offices, accommodating IT and financial companies, this modern, eighth-floor facility is within view of Stockholm's World Trade Centre. Covered parking is available on site. Norrmalm was largely rebuilt in the 50s and 60s, giving a very modern feel to the city centre. Tourism plays an increasingly large role in Sweden's predominantly service-based industry, and almost half of Sweden's big companies are headquartered in Stockholm.